Sitti and I have known each other since 2007. She’s very down-to-earth, honest and fun to be with. We don’t get to spend long hours chatting but whenever we see each other it’s a lengthy exchange of updates and stories. 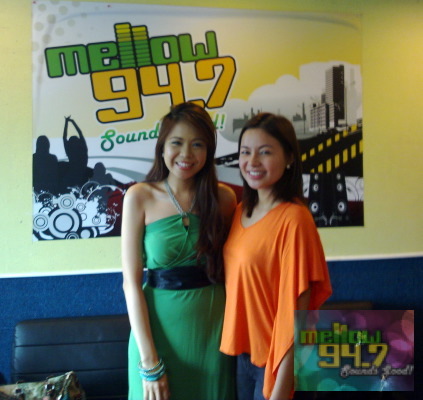 I admire Sitti because she’s remained the same despite what she has achieved. She’s someone you can turn to when you’re down and she makes herself available (even through text) when you need a listening ear. Some of the things we agree on are investment and proper money management. 🙂 Some would think that she could just sit on her laurels and enjoy singing, but Sitti knows where to put her money. Being an Economics graduate, the girl puts what she learned into practice and also helps other people in the process. Sitti and her fan group The Sittizens regularly organize outreach activities that are open to anyone who’d like to give a hand. For more information, you can go to Sitti’s website: http://www.sittionline.com or go to her Facebook Fanpage: http://www.facebook.com/SittiNavarro.